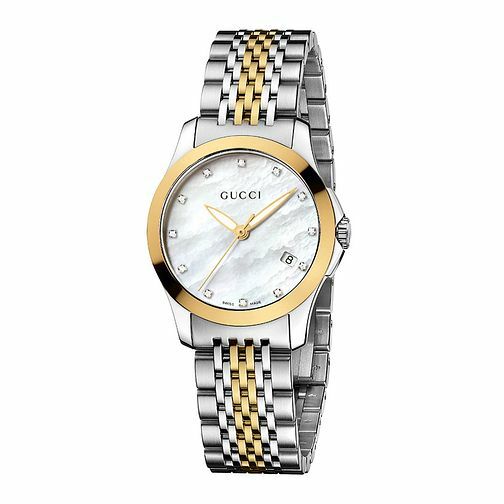 Go for a glamorously Gucci look, with this stunning two tone bracelet watch. The round dial of this Swiss made timepiece boasts diamond hour markers, set against a shimmering Mother of Pearl face. A truly wonderful example of statement Gucci style. Rated 5 out of 5 by Anonymous from Wow beautiful Excellent service and a beautiful watch . Would definitely recommend it.